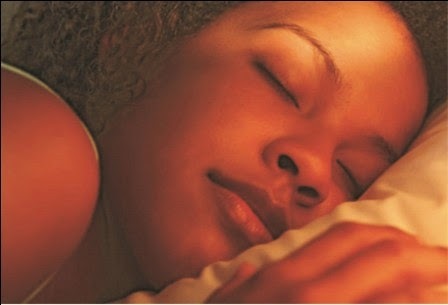 Experts have long emphasised the importance of sleep and ‘rest’ to the human system. It is agreed that the human system requires about eight hours of sleep within a whole day in order to maintain a healthy body and a balanced mental state of well being. It is a proven fact that inadequate sleep contributes in no small measure towards many forms of health debility or malfunction. Some of the health problems that can be caused by lack of good sleep or insomnia are such as – reduced immune system, rapid or premature ageing, headaches, high blood pressure, and the risk of heart disease. On the other hand, adequate sleep that ensures a well rested body and mind condition will enable the following specific health benefits: You will have a normal blood pressure, reduced risk of heart disease, a happier you, and radiating youthfulness. Adequate sleep also helps you to maintain a reasonable stress level as well as an immune system boost and mental alertness, etc. Luckily too nature is richly endowed with ways through which you can get back your health by the enablement of proper and adequate sleep routine. Also, there are life style behaviours that are absolutely necessary to achieving these same results. 1. You should take lots of bananas: bananas contain lots of potassium and Vitamin B6 which is needed to produce melatonin - a sleep inducing hormone that is triggered by darkness. 2. Yoghourt which is sometimes referred to as curd, is very helpful in your bid to try and get enough good sleep. Curd can also be massaged into the head at the same time – it will help induce sleep and take care of your insomnia. Sounds strange, isn’t it? 3. Fish is also very good for you if you are trying to get good sleep. The reason is that most fish, especially salmon, tuna, halibut, etc, also contain a good quantity of Vitamin B6 which induces sleep. This B vitamin is that which is essential for the metabolism of amino acids and starch. 4. Make a night cap of a glass of warm milk; milk like order dairy foods contain tryptophan, a substance which promotes sleep in the individual. 5. Honey can have a somewhat hypnotic effect on you; you should take honey to treat insomnia by mixing two teaspoonfuls in a full glass of water - preferably warm, before bed time. 6. Take light snacks of carbohydrate-rich foods such as crackers (biscuits) and the like including cereals, just before you go to bed. This has a way of inducing sleep. But I will emphasise, – do not abuse the privilege as heavy meals will always go to disrupt your sleep due to digestive problems.